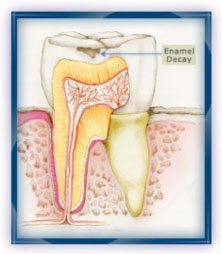 Plaque is the foremost carrier of tooth decay. It is a sticky & clear substance that forms on your teeth, which holds bacteria that feed on food & sugars that you eat. Its symptoms include unbearable pain that can disrupt your life. 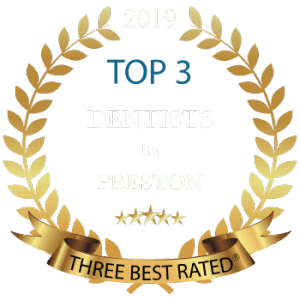 Gross plaque deposit can cause a lot of problems, which your dentist can rectify with proper tooth restoration. 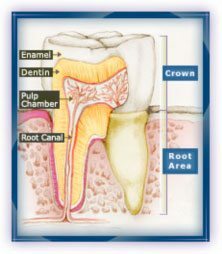 Before tooth restoration is done, you will need to know the different causes of tooth cavity in order to avoid it. Bacteria that are exposed to sugars or carbohydrates can make acid. The acid attacks the crystal-like substance in the tooth’s outer surface. This process is known as demineralization. The first sign of this is a chalky white spot. At this stage, the decay process can be reversed. Using fluorides at home and with the help of your dentist the tooth can repair itself. 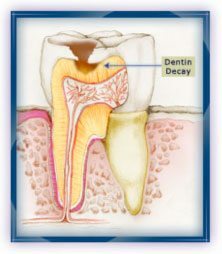 The decay reaches into the dentine, where it can spread and undermine the enamel. Dentine is the main body of the tooth. 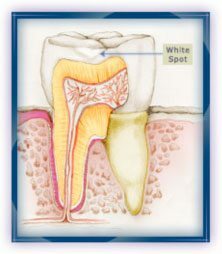 A cavity can even penetrate the soft tooth pulp reaching the sensitive nerves within it.